Summary: Responsible for the prompt and accurate processing of all gifts to Central Union Mission, facilitating receipts, and supporting donor relations. Processes batches, as assigned for recording gifts. Records Manual Gifts, Gifts-In-Kind, and other non-cash gifts. Ensures all In Memory Of, In Honor and Pass through Gifts are recorded accurately and timely. Process donor acknowledgements receipts accurately and timely. Assists with responding to incoming external request through email and phone. Letters of interest and resumes should be sent to hr@missiondc.org. Central Union Mission has a wide variety of internship programs to fit your individual interests and educational goals. Our internships span our wide range of programs, providing a diverse and comprehensive educational experience in: social work, journalism, office and ministry administration, human resources, finance, marketing, development or public relations. If you are passionate about our mission to serve homeless and hungry people in our community, we want to hear from you! We accept internship applications on a rolling basis, including the summer, however typically our internships align with the academic semesters. Availability varies depending on departmental need, so check back frequently to see what our current offerings are. Please note that all interns must commit to a minimum of 15 hours weekly for consideration, and all Central Union Mission internships are unpaid. We are happy to assist you in receiving academic credit for your time here. Email Carrie Kelly at ckelly@missiondc.org or call (202) 745-7118 with any questions. Central Union Mission is seeking a highly motivated and outgoing individual to assist in donor activities. This position is unpaid. Hours are flexible depending on the student’s availability and schedule, but we would prefer to have someone who is willing to commit to 16-20 hours a week. Central Union Mission’s Communications Department is a fast paced, but fun team looking for interns to assist with writing projects. This internship experience can be versatile in scope. 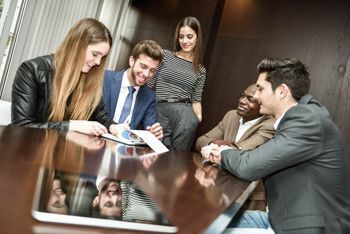 Although most time will be spent working on Development projects, an intern will have the option to spend some time with other Mission departments depending on interests and the programs’ current needs. This position is unpaid. Hours are flexible depending on the student’s availability and schedule, but we would prefer to have someone who is willing to commit to 16-24 hours a week. Central Union Mission is seeking an innovative and independent graphic design intern to assist with the creation of marketing and outreach materials. The intern would be responsible for assisting with the creation of a volunteer handbook and related print material. This internship is unpaid. Hours are flexible, but we would prefer to have someone who is willing to commit to a minimum of 15 hours a week during business hours. Some projects may also be done remotely and possibly outside normal business hours. Our Communications team seeks an outgoing and self-motivated intern to develop videos or presentations for the Mission’s website, special events and social media outreach. This individual would help create interesting and compelling topics to capture. This internship is unpaid. Hours are flexible depending on the student’s availability and schedule. Some projects may also be done remotely and/or outside normal business hours. Union Mission departments depending on their interests and the programs’ current needs. This position is unpaid. Hours are flexible depending on the student’s availability and schedule. Aid with correspondence between Central Union Mission’s donors, potential donors and vendors. This would include, but is not limited to: solicitation letters, thank-you letters, telephone and email outreach, etc. Central Union Mission is seeking a highly motivated and outgoing individual to assist in placing and processing volunteers and assist with organization and distribution of in-kind donations. Central Union Mission is seeking a highly motivated and detail-oriented individual to assist our Finance Department. The individual will participate in the everyday tasks and functions of a finance department, including electronic and hardcopy file management. From managing monies from grants to payroll, our Finance Department is hard working and fast-paced—so be prepared to dive right in! Central Union Mission is seeking an intern with strong knowledge and understanding of the digital media landscape, including various social media websites. This position coordinates initiatives designed to promote Central Union Mission and its services to the community. Administers organizational programs and events aimed at addressing the needs of homeless and low-income people. Develops relationships with community leaders and serves as the organization’s liaison with various constituents. Ability to work independently; creatively; prioritize workload; intersect cross-culturally; well organized, etc. Interest and ability to work with a variety of constituencies, including government officials, community based organizations and low-income people. Excellent written and oral communication skills including the ability to diversify approach when working with cultural communities. Possess research and project management skills. Provides supervisory assistance in facilitating Overnight Guest services, and managing the Emergency Shelter facility at the Front Desk and throughout the building. Reports to Director of Overnight Guest Ministries; ministry, social work or psychology students preferred. Assist Lobby Manager/Hostess in supporting Mission visitors, donors and contractors including receiving, documenting and storing all donations and operating the front desk. Evaluate guests’ skills, aptitude, qualifications, needs, and barriers to employment. Determine eligibility for appropriate programs and cost effective means for achieving customer objectives. Develop employment plans, training plans and assist with goals to achieve self-sufficiency. Plan and maintain programs, including employer and employee files and records of contact. Work collaboratively with individuals and businesses to assure positive placement outcomes. Coordinate with other partner agencies to assure customers are afforded all available resources and services. Refer customers to appropriate local resources. Develop and maintain comprehensive records as needed on the electronic system utilized by the Workforce Development System. Assure all customer records are in compliance with federal and state regulations governing the funding. Participate actively in applicable business or employment related organizations. Enrollment in an accredited college or university. Desired: GPA 3.0 with working knowledge of federal, state, and local employment and training laws and regulations. A working knowledge of services available for customers and potential barriers to employment. Knowledge of labor trends in local business and industry. Ability to establish and maintain cooperative working relationships with partner agencies within Workforce Development arena. The ability to organize work and carry out duties autonomously and a good working knowledge of local community service organizations and their programs. Confidently and compassionately communicate effectively with leadership, staff, guests, volunteers and our corporate and community partners and donors. Experience preparer and presenter both orally and in writing to diverse audiences. Skilled in prioritizing tasks and able to follow through effectively. Works well in teams and work groups, self-motivated, highly organized, strong interpersonal skills, tactful, possessing good judgment. If you are an individual who seeks an opportunity to gain real world experience creating systemic change in the lives of Mission Men, we welcome you to submit your credentials for consideration. Central Union Mission is seeking a motivated and energetic individual to assist in our kitchen, pantry and volunteer department. This position is unpaid. The ideal candidate will commit to 16-24 hours weekly and would be scheduled according to meal times and prep schedules. Applicants for this position available in the Hospitality area are not required to have a Degree or Diploma in Hospitality or related subjects offered by community colleges, vocational schools, or online programs. However, this person(s) must have suitable work experience in order to meet with the knowledge and skills required for the described position. Wash utensils and dishes, making sure they are stored appropriately. Sort, store and distribute ingredients. Wash, peel, chop and cut food items; help to prepare salads and desserts. Excellent communication skills. including correct grammar and spelling. Clean food preparation equipment, floors and other kitchen tools or areas as needed. Be able to work with people from different backgrounds. Answering phones, data entry, conference coordination, meeting organizing, answering general inquiries from public. Coursework in Business Administration or Project Management. Self-motivation and ability to work independently; Interest in learning how a non-governmental organization (NGO) works. Candidate should possess an interest in the intersection between environmental health, societal health, and economic health. Prefer sophomore or higher student. Provide office support functions including word processing, filing, copying, composing a variety of business documents, reception, gathering and compiling data, and balancing and coordinating a workload for multiple projects while meeting deadlines; Provide lead and/or back up receptionist support to include greeting visitors in person or by telephone and to connect those with the appropriate staff person or services that will best serve their needs in a friendly, professional manner. Central Union Mission is seeking a highly motivated, outgoing student to assist the Director of Social Services in implementing daily social services programs and performing administrative functions, as well as working directly with Mission guests and program participants. The position is unpaid. Hours are flexible depending on the student’s availability and schedule; however, we would prefer someone who is willing to commit to working 15-24 hours a week.